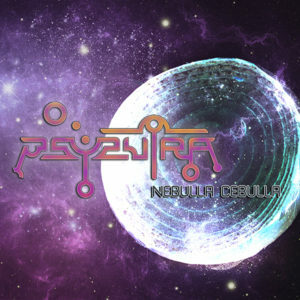 Following up on the release of his debut album Gamma Phoenicis on Cronomi Records back in the summer of 2014, Łukasz Wiącek returns with his PsySutra project and a new 4-track release, Nebulla Cebulla, on Neogoa Records. As one of the most creative Goa trance producers from Poland he delivers proper and banging trance sounds on two new tracks filled with unique melodies and unusual but very emotional sonic patterns. In addition to the uptempo work Nebulla Cebulla also comes with two laid-back downtempo Goa remixes representing the Goa trance music and scene in Poland in the best possible way. All tracks written and produced by Łukasz Wiącek (PsySutra), except track #3, written and produced by Michał Bączek (Artha). Track #4 remixed by Michał Niecikowski (Red Sun Rising). Mastering by Igor Čeranć at Deimos Soundlabs with artwork design by Richpa at Neogoa Design. MP3 Download | FLAC Download | WAV Download · Download count: 8,132. Hey, great release, sounding very fresh! Neogoa kicked up the cosmic dust yet again! Big respect to the artist! caught by the 2 down tempo tracks that are really really good ! Before anything, please bring my hello to Sweet Noise (My Riot) also Peja Slums Attack, because you’re from POSLKA. I’m sorry about my fault in typing! Impressive! Every track is pure gem! This is the Goa I like, thank you.